The Consitution of the the Network has been revised several times through the years. The name of the organisation shall be The European Network of Health Care Chaplaincy (ENHCC). working for the development of professional guidelines required to care for the existential, spiritual and religious needs of patients, relatives and staff, drawing on personal, religious, cultural and community resources. enabling its participants to share and learn from one another. Participation in the Network shall be open to representatives from faiths, churches and national associations who support and provide spiritual care in health care settings and who affiliate with ENHCC. Each affiliated faith group, church or national association may appoint more than one representative to participate in the activities of ENHCC but shall have only one vote for any motion or resolution brought before consultations and meetings. Affiliated bodies shall be asked to contribute a participation fee as shall be fixed from time to time by the ENHCC Committee. Those who do not officially represent faiths, churches, and national associations may be approved and appointed by the Network Committee as Associate Participants and may take part in the activities of the Network but may not vote in consultations or serve on the committee. The Network may appoint Honorary Participants who in the past have given service to ENHCC. They may take part in the activities of the Network but may not vote in consultations or serve on the committee. ENHCC shall hold a Consultation Meeting, to which all participants, associate participants and honorary participants are invited, not less than every two years. Other meetings and activities may from time to time be arranged by the Committee. The Network shall be administered by a committee elected by secret ballot at a consultation of the ENHCC. The committee should broadly represent the participants and seek gender balance. A Coordinator who shall hold office for a period of four years and may be elected for a further two years. If the coordinator for any reason cannot continue to serve, the Committee shall appoint a substitute coordinator. Four ordinary committee members, who shall serve for two years and may be elected for another term. The organiser of the next consultation. The organiser of the current consultation. The webmaster and the treasurer are nominated by the committee and approved at the plenary session of the consultation for a period of two years. They can be reappointed every two years as long as all parties agree. The Network shall authorise the Treasurer to make payments for operational expenses and to further the purposes of the ENHCC. A statement of accounts shall be sent to the members of the committee at intervals of not less than 6 months and an annual statement of accounts sent to all participants. 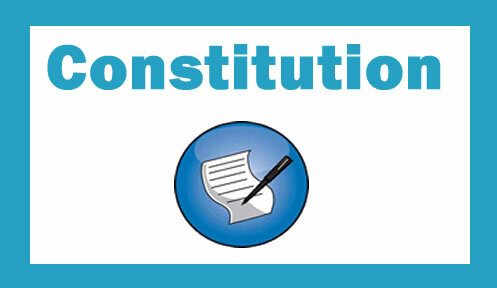 The constitution may be changed with the approval, by a two thirds majority of those present and voting, at a consultation of ENHCC providing that notice has been given to all participants of the proposed change not less than 3 months before the meeting. ENHCC may be dissolved with the approval by a two-thirds majority of those present and voting at a consultation meeting, providing that notice has been given to all participants of the proposed dissolution not less than 3 months before the meeting. Any property and funds then held by ENHCC shall be given to another organisation or organisations with a similar purpose.